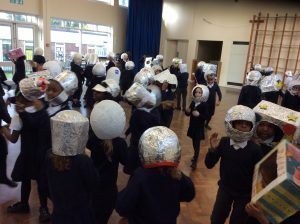 Today we brought in space helmets that we made at home and we imagined what it would be like going to the moon. 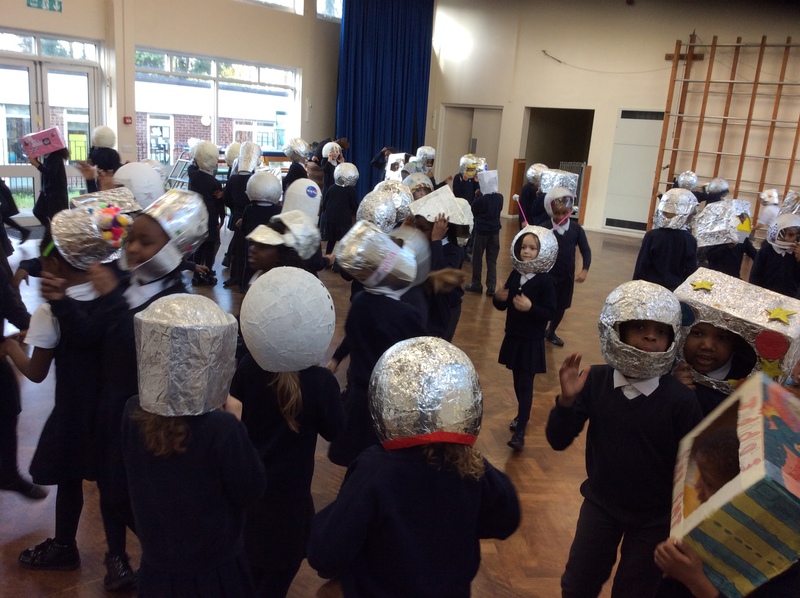 We listened to music and walked around to show off our shiny space helmets. They were all so amazing! After that we started eating our space picnic. 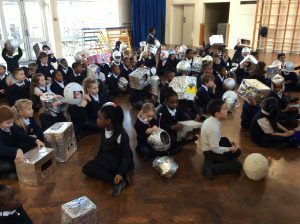 We could eat jam or cheese sandwiches, chocolate biscuits and had a lovely hot chocolate. One child loved drinking her hot chocolate because it was so tasty and warm. Another child said their favourite part was when the space music was on and we walked around the moon because it was so special to imagine what it would feel like. We were floating in the sky, jumping over huge crators and riding in moon buggies. 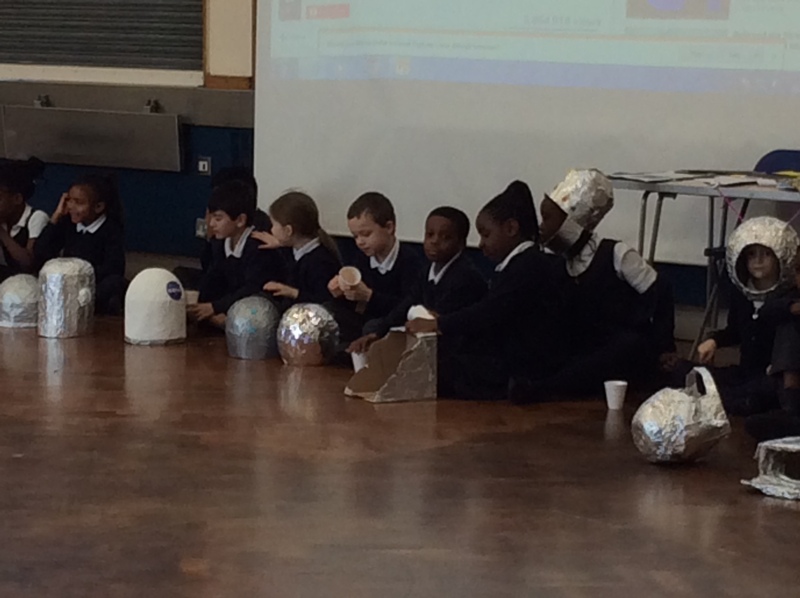 To end our space picnic we read a story about the moon and what you would find there. 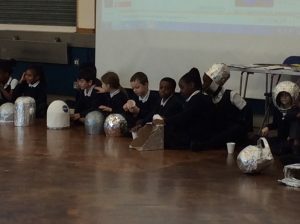 Here are some pictures of our space picnic.